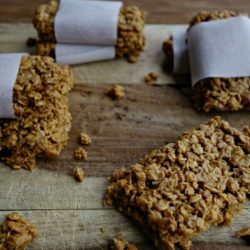 Every summer I find myself making new versions of granola bars. 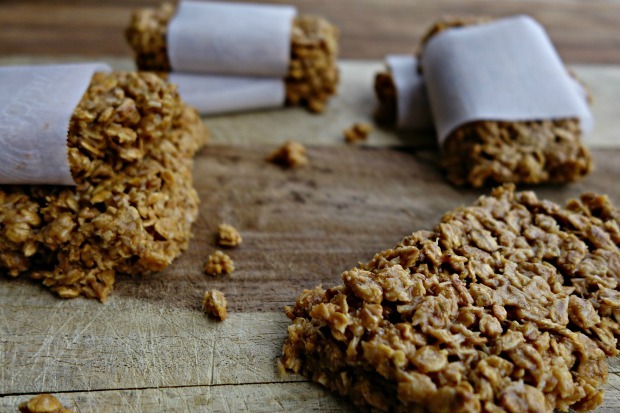 I suppose it’s because we spend a lot of time outdoors and granola bars are the perfect treat to stuff in your purse, backpack, glove box, bicycle bags, yes and even your back pocket – while providing plenty of nutrition and energy. Of course, it does depend on the ingredients. 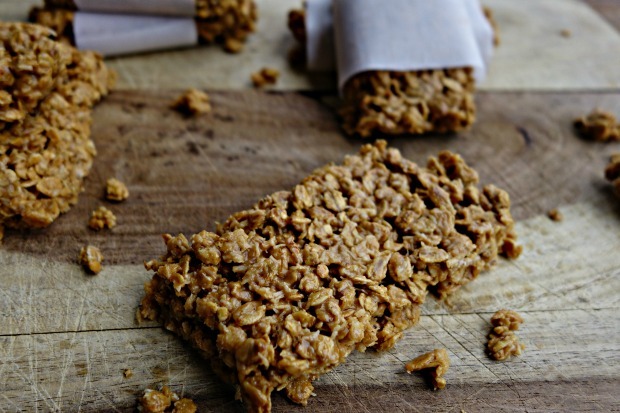 Making homemade granola bars are so easy. I prefer to make my own granola, especially since I created my own years ago that’s light and has all the flavors we like. Then once that’s made it’s all about blending ingredients and refrigerating them until firm. There are recipes out there where you bake your bars and those are terrific as well. This recipe simply calls for refrigerating them – easy peasy! If you’re not in the mood to make homemade granola then by all means purchase some ready-made. Although I have to tell you if you make your own batch then you’ve got the perfect breakfast food for the morning by simply adding yogurt and fresh berries. I mean what could be better than that? In the recipe below for Peanut Butter Coconut Granola Bars I omitted the raisins when making my granola. Then added the remaining ingredients to make granola bars. Feel free to add in the ingredients that suit your taste. Maybe you’d prefer Nutella instead of Peanut Butter. Adding in almonds, craisins, dried apricots, dates, or whatever other dried fruits, seeds or nuts you’d like, will make these your own creation and pleasing to your palate. Try my recipe or change it up and have it be yours. 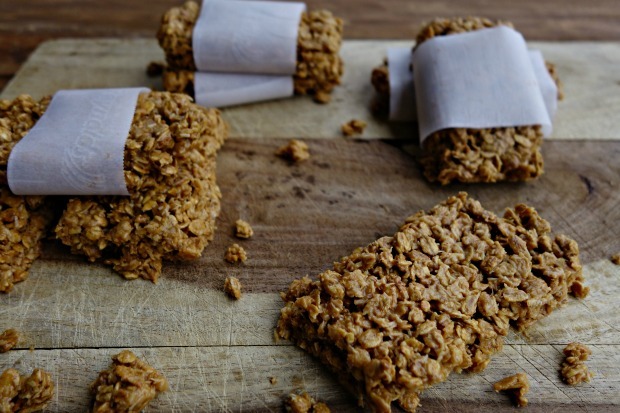 These quick and easy and delicious granola bars will replace those expensive bars you keep buying at the store. Try these today, you won't be sorry! Granola - follow directions for my homemade granola, omitting the raisins. 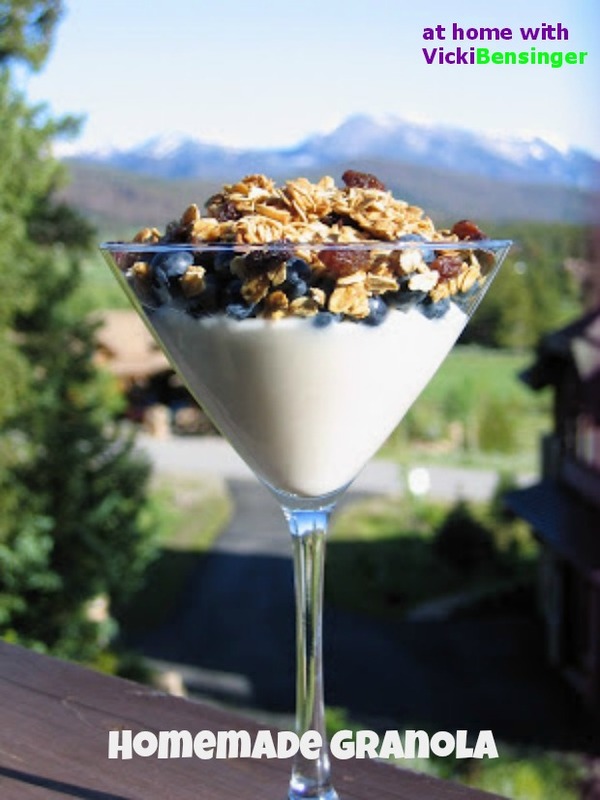 If preferred use ready-made granola. After granola has cooled, if making homemade, combine peanut butter, honey, and melted coconut oil in a large bowl, until blended. Add in 3 cups granola and the coconut and mix until thoroughly combined. Grease an 8x13 pan and line with parchment. Spoon mixture onto parchment lined pan and smooth out until even at covering entire pan. Place in refrigerator for 1 hour or longer. Remove by pulling parchment paper out of pan and set onto a cutting board. Cut into 10 bars. Serve or wrap in parchment paper for later. Store in the refrigerator until ready to eat or until you need to pack it with you. * Measuring the coconut oil while it's in its solid state will liquify to the same amount.